If memory serves, Tom Pecheux did the make-up for this riveting Prescriptives campaign. 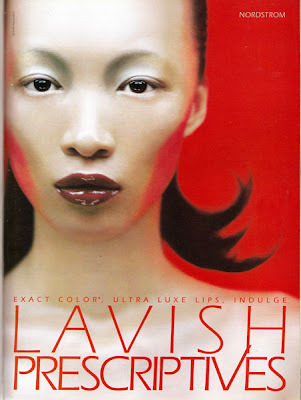 Ling looked gorgeous in all the ads. 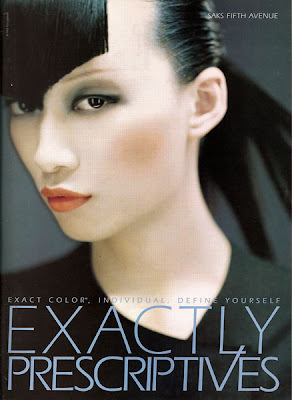 I remember being very impressed with the way Px embraced diversity and capitalized on individuality w/ make-up customization, long before these concepts became trendy (i.e. 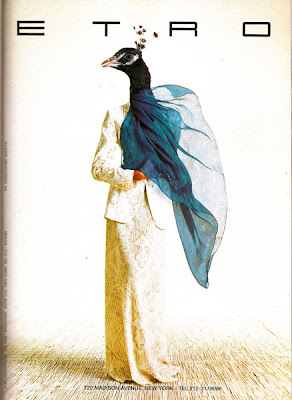 the Colorprinting ads were genius). Their methods and images, were really ahead of their time back then. OMG, you have the scans for these ads. I've been looking for then everywhere.